Lake Como is one of the most popular and beautiful areas for Destination Weddings in Italy, and for a reason! Beautiful shores, amazing villas – for every taste: this one, for example, is super contemporary and artistic! – and stunning sceneries. Katie and Jamie got married in a beautiful ceremony in front of the Lake, in the amazing Villa Leoni. Enjoy! 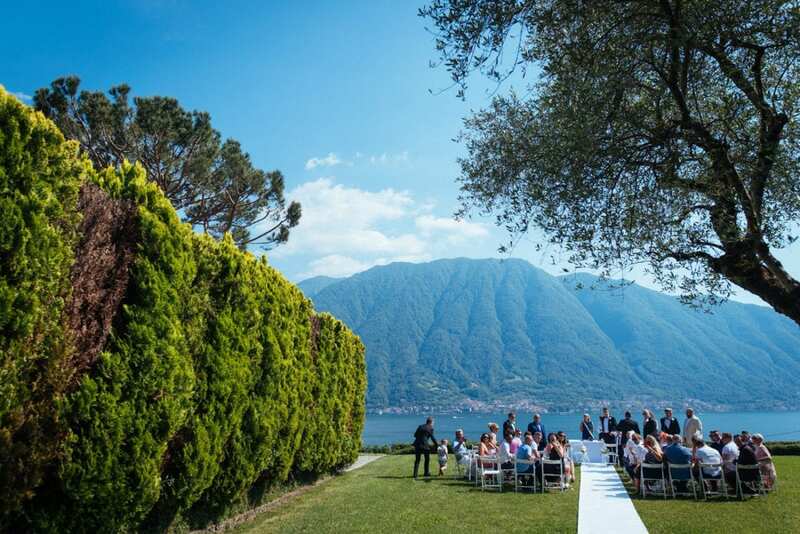 Lake Como is just perfect for Destination Weddings! Katie and Jamie had been planning this wedding for the past two years together with Cristiana of Europe Weddings. They chose the amazing and peculiar location of Villa Leoni. There are many wonderful, classic villas on the shores of Lake Como, but Villa Leoni is completely different: super contemporary, full of modern art pieces and very bright. 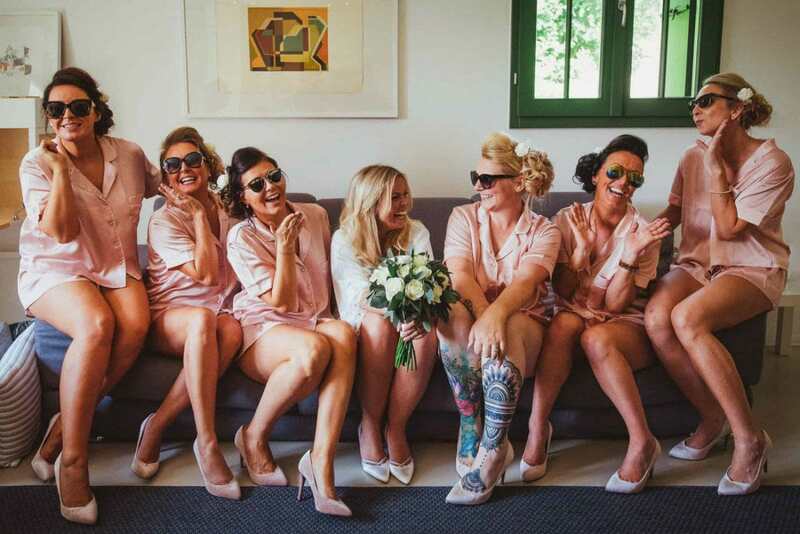 Jamie got ready with his son and his best friends, while Katie was having a great time with her bridesmaids – girls just wanna have fun! This sweet English couple got married in a stunning civil ceremony in front of the Lake. The set up was very simple and elegant, perfect for the location: Katie and Jamie read their vows and said I do on a lovely sunny day. After the wedding, as the guests were having an aperitif, we took the water taxi and had a boat tour of the Lake. We stopped for some pictures in Ossuccio – such a lovely place! As we came back, the second part of the aperitif started and so did the party! Before having dinner, the bride’s father and the groom’s best friends read their speeches, in a very emotional and romantic moment. After cutting the cake, Katie and Jamie had their romantic first dance. But the party was not over yet – the whole wedding group moved to a super cool beach club nearby to continue the party. Congratulations to this lovely couple!